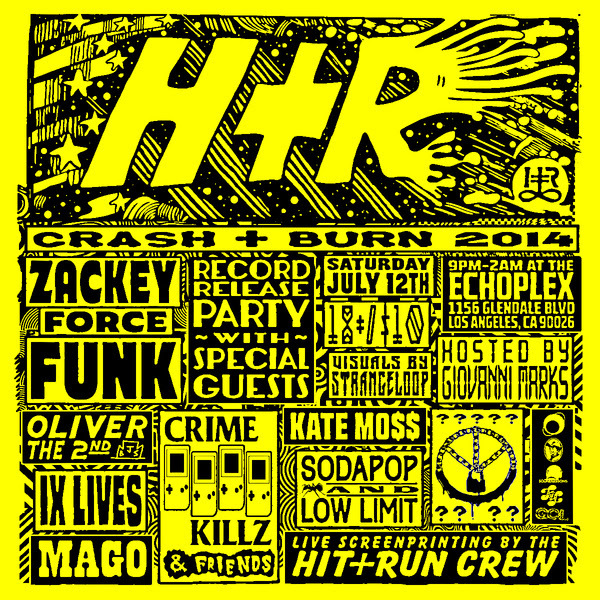 We’re kicking it off tomorrow night, Saturday July 12th with our annual summer jam “CRASH+BURN 2014” at The Echoplex. It’s the record release party for our 40th music release on HIT+RUN, the future funk classic “Money Green Viper” by ZACKEY FORCE FUNK. Come check out ‘The Electron Don’ performing cuts from the soon-to-be-released marbled-green 12” vinyl record (housed in a one-of-a-kind screen printed jacket) and pick one up before next week’s in-store date for only $10!! Celebrating alongside Zackey will be producers from his album, as well as live performances by CRIMEKILLZ, IX LIVES, OLIVER THE 2ND, KATE MO$$, GIOVANNI MARKS, dj sets by SODAPOP, LOW LIMIT, MAGO & EDDY FUNKSTER, plus a VERY SPECIAL SURPRISE ARTIST to be announced tomorrow! Hypnotic visuals by STRANGELOOP all night, and live screen printing by THE HIT+RUN CREW featuring exclusive designs by MIKE C, ABCNT, AMBUSCH, ENIK, MARK OF THE BEAST, CHAIN GANG, SCUMBAG TONY, MAGO, YU MAEDA, CHRISTOPHE GILLAND, MALKY, and more! The first 100 peeps through the door get a FREE blank T-shirt to customize plus stickers & more! 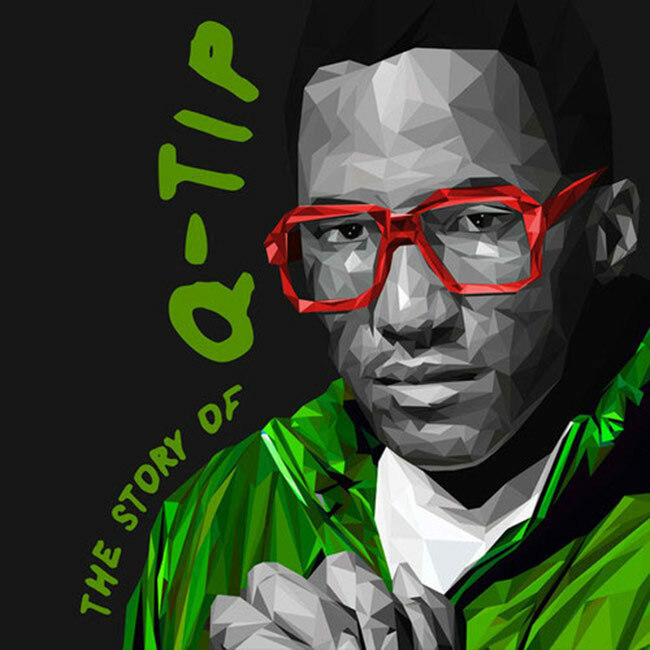 Support by Sticky Ricks, dublab, Soundlessons, LA Weekly, LA Record & Friends Of Friends. Can you make it through the whole thing?